This time of year, families are transitioning from the carefree summer days to the structured school days. Why does it seem like school is starting earlier than ever before? It seems like it's the time of change with kids going back to school, the shorter days and even how the fall season is just ready to make it's appearance. And with all these changes, nothing changes your life like bringing a bundle of joy into the world. 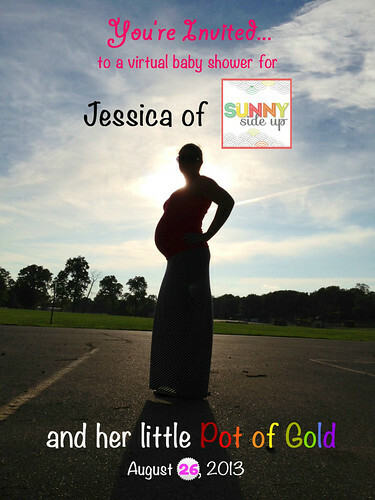 This post is dedicated to my dear friend, Jessica of Sunny Side Up. She and her husband Jesse will be welcoming their little baby girl, Maeve. Maeve is a beautiful name of Irish descent and Jessica used to dance and teach Irish dance. To help Jessica welcome her bundle of joy Irish-style, Krystal of Mrs. Regueiro's Plate and Jessica of My Baking Heart are hosting this virtual baby shower with an Irish theme for Jessica's little Pot of Gold. Doesn't it make you want to do a little Irish jig?! Since the weather has been cooling down a bit, I couldn't resist making something comforting and perfect for the fall months to come. The Baron is an Irishman himself and it helped that had a hankering for Shepard's Pie, which fit perfectly for this Irish baby shower. This Comforting Shepard's Pie is full of delicious, comforting ingredients that simmer in a rich, flavorful sauce before getting topped with creamy herbed mashed potatoes and baking up in casserole form. It's comforting and makes me long for fall to come soon... almost with as much anticipation Jessica has for Maeve's arrival! Special thanks go out to Krystal and Jessica for hosting this awesome virtual baby shower. Be sure to check out their blogs tomorrow [Krystal of Mrs. Regueiro's Plate and Jessica of My Baking Heart] for a round up of all the amazing dishes being featured for the baby shower! Place potatoes in a large pot and cover with water. Bring to a boil and cook until potatoes are fork-tender. Drain and return to pot. Stir in butter and milk, mashing until smooth. Add more milk if needed. Stir in cheese, parsley and chives; season with salt and pepper. Cover and keep warm. In a large dutch oven over medium high heat, brown ground beef. Add onions, carrots and garlic, and sauté until softened. Sprinkle flour over meat and veggies, stirring to coat. Continue to cook for 1 minute then add Guinness, red wine, and beef broth to deglaze the pot. Scrape up the bottom of pot to incorporate the fond for additional flavor. Bring to a simmer, then reduce heat to medium low. Add Worcestershire sauce and spices, and continue to simmer for about 15-20 minutes, or until carrots are tender and mixture has thickened. Stir in peas. Pour ground beef and vegetable mixture into a greased casserole dish. Spoon potatoes gently over the top of the meat mixture. Feel free to use a fork to add a more rugged top or keep it smooth - your preference. Bake casserole in the preheated oven for 20-30 minutes, or until potatoes are golden brown and edges are bubbly. Well you know the way straight to this Irish girls heart! Shepard's Pie is one of my favorites! Thank you so much for showering my baby girl with love! I am sure she can't wait to hangout with Chicago friends! It's always funny to see how out of the loop I've become. Like when you find out about pregnancy's through virtual baby showers! Congratulations to Jessica. Mmmm, shepard's pie is one of comfort food faves and this is one awesome contribution to the party! YUM! teehee! I'm giggling that on the day you're posting that "the weather is cooling down" I think you guys in Chicago are getting record high temps! lol! Well, I know it will cool down for you soon enough and not soon enough for me here in Mississippi. ;) Anyway, Jo, the shepherd's pie sounds fantastic! Can't wait for the cooler weather to arrive and enjoy dishes like this! Shepards pie is my ultimate comfort food! LOVE IT! Shepards pie is sooooo good!! We're still in the middle of summer but definitely a great meal for the winter. I've never had Shepards pie, I must try it, looks good! Yum! 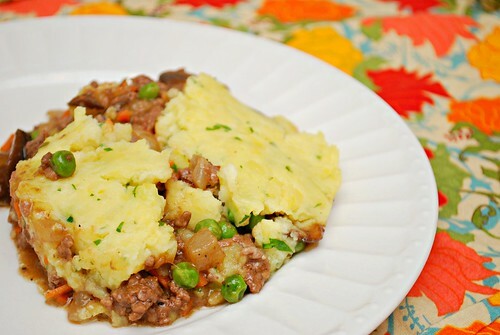 I love Shepherds pie and love that you can really use so many ingredients. It is one I whip up with whatever is in my fridge! um...YUM! I do a shepherd's pie with beer in it too, but my photos never came out looking as yummy as yours! My husband would love it with the Guinness! I love Shepherds Pie and make a decent one. I love seeing all the different ways people make theirs. Yours looks good! Yummy this recipe looks delicious! thanks for sharing! This sounds so good! I might leave out the Guinness since I have never had any kind of beer in my whole life. The smell of it sorta stinks to me - my apologies to you beer drinkers. I haven't had Shepherds pie in ages. This recipe looks and sounds super delicious! mmm that meal looks delicious! What a homey and comforting meal for our mama to be. You always think of the nicest dishes to bring! 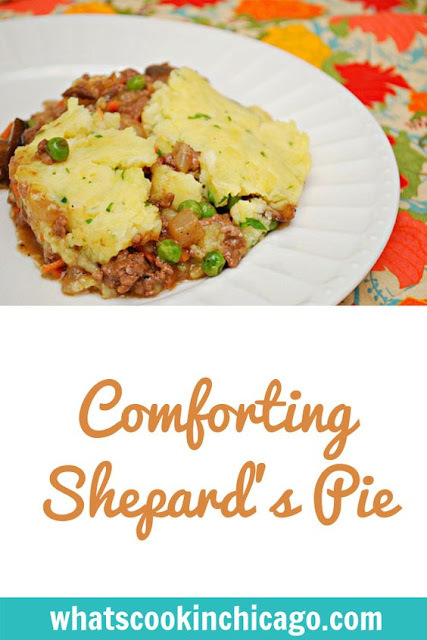 Shepard's Pie is definitely one of my all-time favorite comfort foods and your version looks and sounds amazing! !